ABC Air Conditioning and Heating Specialist Inc provides an expert, trustworthy, and affordable source for a full range of residential and commercial HVAC services. From new installation and retrofit of top quality equipment to essential maintenance, skilled repair, air purification, and duct cleaning/sealing, our licensed technicians customize solutions to suit your specific needs. Contact ABC Air Conditioning and Heating Specialist Inc at 407-588-9078 and take advantage of prompt response, knowledgeable recommendations, and unmatched value from your investment. Through exacting standards of integrity and technical expertise, ABC Air Conditioning and Heating Specialist Inc has earned distinction as both a Carrier Factory Authorized Dealer and Goodman Factory Authorized Dealer. We offer a wide range of innovative options to not only deliver perfect year-round comfort, but trim monthly costs, simplify management, and promote long-term reliability. For reliable HVAC & air quality repairs, installations, and service, call ABC Air Conditioning and Heating Specialist Inc today! Let us complete an Indoor Air Quality audit to accurately diagnose and optimize the health of your living or working space. 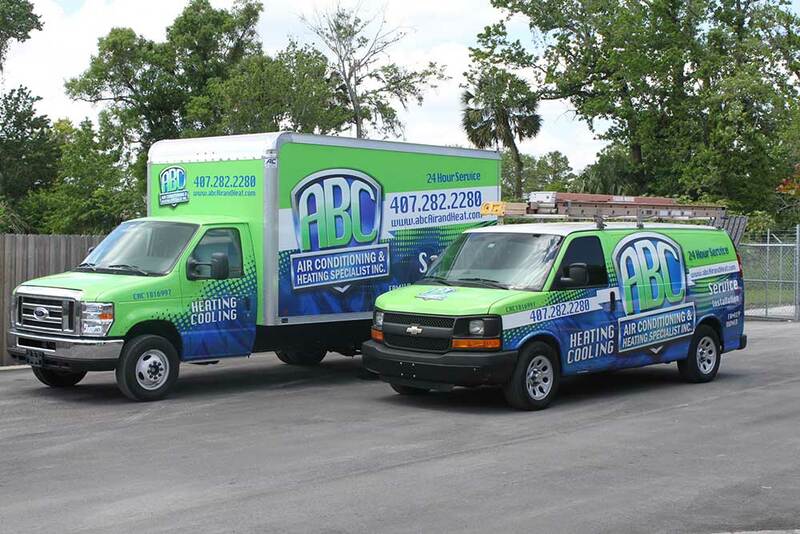 ABC Air Conditioning and Heating Specialist Inc is here to serve your best interests, and we’re always available, 24/7, providing Emergency Service across Orlando, FL.